(2) “It Fits” ™ mounting locations for RBO accessory mounts. We call this Rack the “Sherpa” out of great respect for the people that live in the North-Eastern Part of Nepal. It’s been known for years that Sherpas have led people on great adventures helping people achieve great accomplishments. While we can’t lead everyone on an adventure, we can design products to help them on their way. We feel that our Sherpa Rack ™ is a great tool that will help you on your next great adventure! 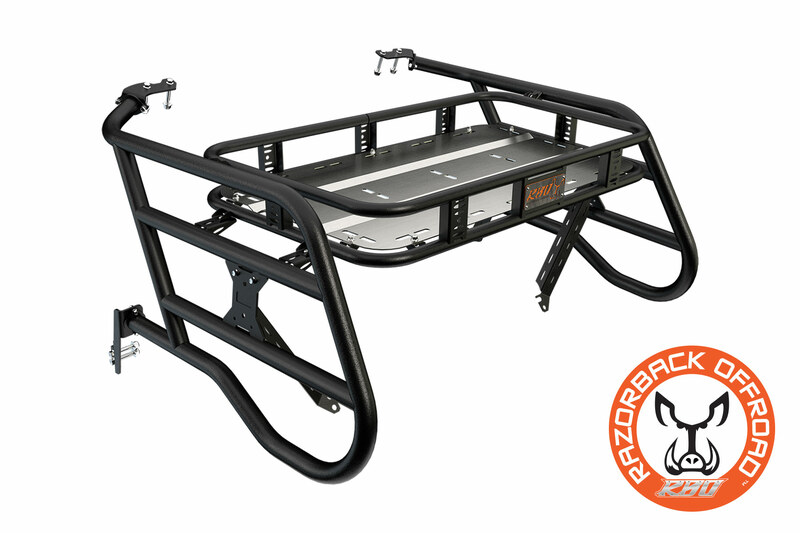 Designed to fit the 2015 thru 2018 Polaris RZR 1000 The RBO Sherpa Rack ™ is made from 1.5” Diameter Steel Tubing. It has a rugged powder coated finish and is manufactured right here in IDAHO. 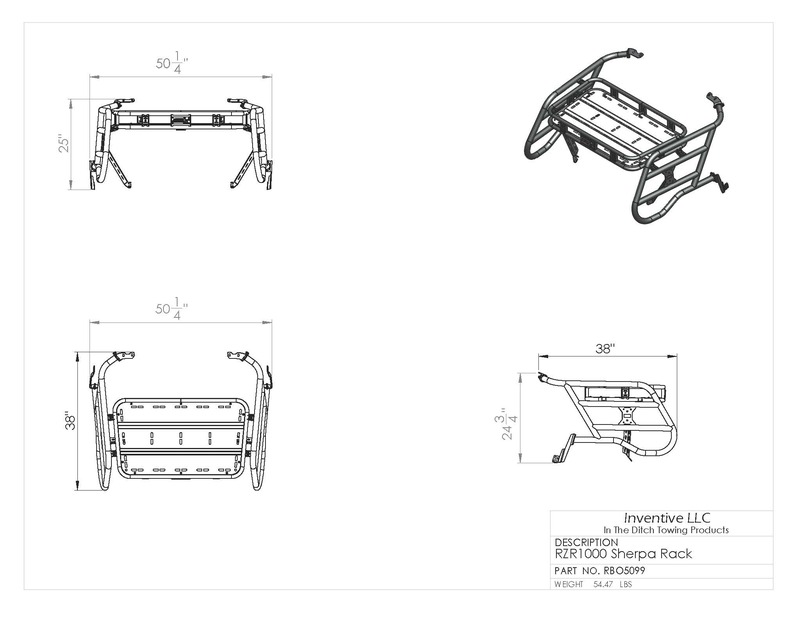 The Sherpa Rack also has our “It Fits” ™ RBO attachment mounting system. 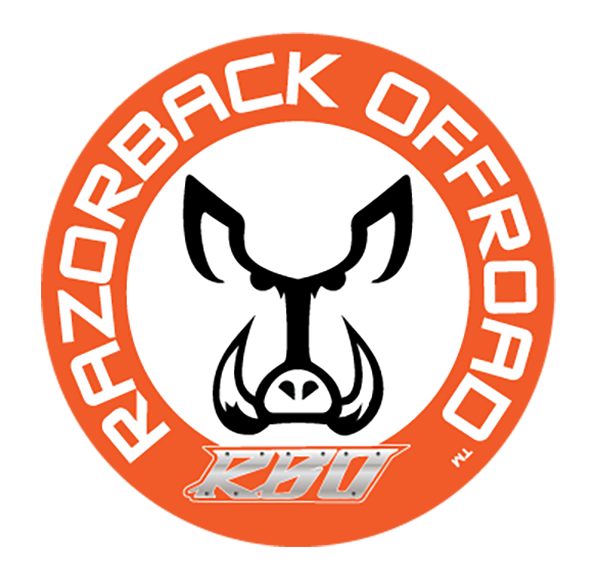 With the “It Fits” ™ mounting system you can quickly and easily install any RBO accessory with the “It Fits” ™ icon. This rack comes with everything you need to install it on your machine without drilling or modifying your machine. When it comes to satisfaction, we believe in backing up our products. That’s why we offer a 30 Day money back guarantee*. Our RZR Cargo Rack is completable with Our RZR 1000 Roof and also our Polaris RZR Fold Down Front Windshield. 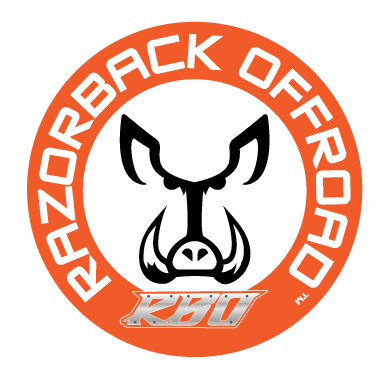 Experience today why so many people are installing a RBO Cargo Rack on their UTV.